So your hospital has recently decided to take a firm grasp of its online strategy and has also decided that this means you need to start blogging. Both are great assumptions to make but where do you go from there? What exactly is the best way to create a successful blog? If you’re like most, you’ll find this idea to be both daunting and confusing but worry not because that’s where we come in. 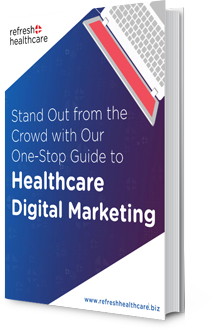 We’ve written this handy dandy little article to give you all the info you’ll need to create an amazing blog that boosts your SEO and builds an active online community for your hospital. Enjoy! The great thing about blogging is that it allows you to showcase your expertise and position yourself as a thought leader in your field. As a hospital, you could and should be taking advantage of this to blog about the latest developments in medicine, nutrition, or preventative practices to stay healthy among others options. You have a wide range of specialist knowledge at your fingertips so don’t be shy. Make sure you use every inch of it to use it to impress the hell out of your audience. A crucial element to successful blogging is to both know your audience and to tailor your content to their specific needs. 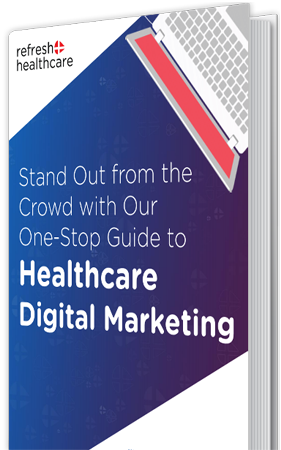 We know that our market is hospitals who want to revamp their digital strategies and our content (including this blog post) reflects that. But how about you? Who are the specific types of people that will be browsing your site and what do they need? Are they likely to be carers who are trying to find out which wards their loved ones are staying in? Cancer patients who are looking for treatment info or their doctor’s contact details? Whatever you decide on, tailor your blog posts to their unique needs and they’ll eat up your content. If you want people to read your posts, they need to be moved to actually do so. Having the greatest content in the world won’t help you at all if nobody ends up reading it so don’t be afraid to add some spice to your titles. Clever wordplay is your friend. Wit is your friend. Humour, is your friend. Ignore them at your peril. Here are some examples of catchy titles to get your creative juices flowing. People don’t read blogs with the same patience they have for books or newspapers so don’t expect them to. When online they’re never more than two clicks away from a cutesy cat video so you need to fight for their attention against all other distractions. Embed your blog posts with relevant pictures and videos wherever appropriate to improve the visual appeal of your pages. The more attractive they are, the longer people will spend looking at them and the more your blog will grow. This is very important, especially for a hospital. When online, people gravitate towards real human contact rather than faceless corporations so if you write like the latter you’ll rob them of the former and push them away. Also, as a hospital, it’s likely that a lot of the terminology you’ll use in your posts will confuse the layperson and that’s something you definitely want to avoid. In situations where you have no choice but to use obscure terminology (like the name of a clinical drug) then there’s obviously nothing else you can do. But wherever possible be conversational. You want to write like you’re talking to a friend rather than negotiating with a business acquaintance. Your sentences want to be no longer than 25 words to avoid confusing your readers. Unless you’re a professional writer, the longer they are, the more likely you are to lose people, so keep them short but sweet. A call to action (CTA) is exactly what it sounds like, a ‘call to action’ that directs readers to perform a specific task on your site. It can be as simple as a link that says something like ‘click here to subscribe to our newsletter’ or even a picture too. As long as it clearly tells the reader what you want them to do next and does so in an authoritative way, then that’s great. Place CTAs at the end of your blog posts. As we’ve alluded to in this post, you don’t want your blog to take itself too seriously. Have fun with it, be creative, try new things and never be afraid to experiment. There’s nothing that says that you have to do things the same way as everyone else, so don’t think you have to. You’re never more than 1 idea away from a concept that will triple your reach and send floods of new subscribers to your content. Stay loose, be creative, and let that concept find you. The success of your blog hinges on the community that you manage to create and you can turbo charge that growth by sharing your posts online. Facebook, Twitter, Instagram, Tumblr, Reddit and others can all be used to get the word out to potential subscribers. Ignore whatever notions you have about it being classless to self-promote and make a point to promote your blog posts as much as you possibly can. This is absolutely key to your success so if you only pay attention to one of the tips in this article, make sure it’s this. An amazing blog that’s updated sporadically will do far worse than a mediocre one that’s updated regularly. Consistency is key and you ignore this fact to your detriment. People need to know that you’re a reliable and dependable source of information and the only way that will happen is if you blog regularly. Well that wasn’t too hard now was it? You now have a proven, reliable and actionable set of steps to undertake that will result in the creation of an excellent blog for your hospital. No matter how scared you might be, don’t worry because that’ how everyone feels when they try something new. Just know that this feeling is perfectly natural, feel the fear and do it anyway.